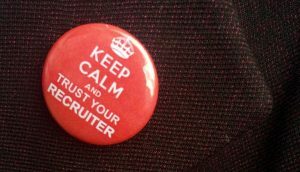 Recruitment should be based on trust! Recruitment is a people-driven industry. It is successfully driven by the psychology of understanding people, and the ability to read them through their actions, words, and body language. It is also largely represented by how you engage people, how you keep them interested and how you develop a mutual relationship built on trust. There is a special relationship between a recruitment consultant and a candidate. Unfortunately, not many people understand the intensity of the relationship, and I will attempt to break it down to create an insight into the deeper understanding between the two individuals. 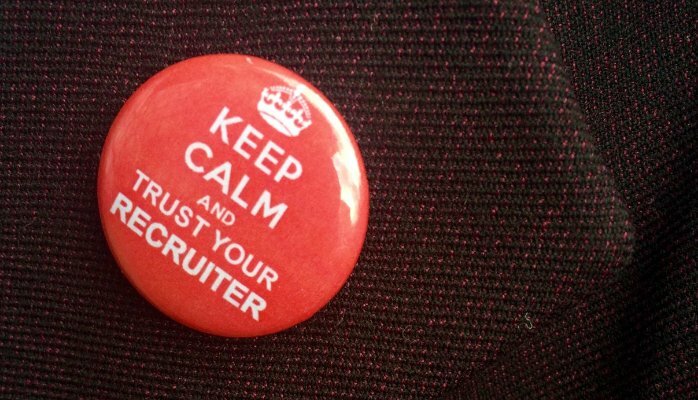 A recruiter should try to get to know you just like you would try to get to know a new friend. A recruiter should know if you’re married? engaged? What does your partner do? how many children do you have, how old are they? (or he/she) what are your interests/hobbies, where do you see yourself in terms of career development etc. Some people may be thinking “that’s too much information for someone who I don’t even know or some random person who has called me out of the blew to sell at me” Some candidates may even ask “why do you want to know?” However if there is authenticity in your voice, a candidate will have no trouble opening up to you. I hear the question “Why is this useful?” “why do I really need to know this candidate’s life story?” The answer is in the reason why you have called them in the first place and that is to get them a role that is befitting to their career aspirations. Here’s an example: you have a role you want to discuss with a candidate that you believe he/she would be perfect for. The remuneration package only offers single medical care, now by discussing with this candidate, you have found out that he is married with 2 kids, automatically this role as it stands will not really be of interest however you can then talk about a higher salary (should the higher salary still be in the budget of your client) that can comfortably cover the additional policies and still have enough income to see the change in their net pay. By doing this you have catered to the needs of your candidates and you have also identified a talented professional that can add value to the business objectives of your client. Getting to know your candidate gives them that assurance that you actually care about them and not about your commission. They will have the confidence that you have taken their career objectives into consideration and will find the best role for them that suits their career aspirations while factoring in their social responsibilities. Give candidates the room to make their own decisions, talk to them about the vacancy, don’t impose it on them. Because you feel they would be perfect for the role, that doesn’t mean that the role would be perfect for them. As a recruitment consultant, you have to do just that “consult”. Have a conversation with the candidate, discuss the benefits of the position and how it can aid them into achieving their career objectives, there may have other factors that might surface that might not have necessarily surfaced while getting to know them. Analyse that situation and make an UNBIASED judgement. The most gratifying feeling is finding a candidate their desired role and you watch them grow as a professional as well as receiving great feedback from your client on how they are doing. The candidate will feel indebted to you and from there they will recommend their fellow colleagues and as a result you will build a network of trusted candidates who will tell you what’s going on in the market and also help channel your energies. Trust is a two way relationship and in order for it to work effectively, honesty must be shared and this applies to candidates as well. These are points that will also help you get the best out of your recruiter and also your job search. If a consultancy has contacted you about a role and you have been in dialogue with this consultancy and another company calls you about the same vacancy MENTION IT! It is in your best interest. If two consultancies send your details to the same company regarding the same vacancy, it lands on the clients desk twice, this creates an impression of no loyalty and a form of desperation especially if the salary expectations differ. However should a CV be sent without your knowledge and you are notified by one of the consultancies that the client has your CV already, it is your duty to send an email to the agency that sought your permission before sending it that you are not aware of the other consultancy sending your details and you herby confirm that you choose to be represented by agency X . This will rectify your credibility with the client and also expose the lack of professionalism by the other agency. Make sure you understand the role a recruiter is discussing with you, the organisation they are recruiting on behalf of, the remuneration package on offer, and what would be required of you as an employee. Don’t be afraid to ask questions, it doesn’t make you stupid or uneducated. What it does is gives you a better understanding on what’s on offer so you can make a clear decision on whether you would want to be submitted for the position. It also helps when preparing for interviews, your recruiter should be able to give you an insight into the organisation, working culture, the hiring management. and the learning and development structure. So should you be shortlisted for an interview you would be more knowledgeable about the company so you can wow them with your self-education and how you can be an asset to the company using the pointers disclosed by the recruitment consultant. You, as the candidate look good in front of the client and the agency, as your representative looks even better!